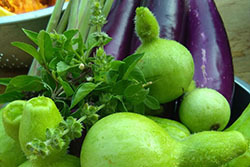 Papa Sao Farm is a sustainable organic farm in the his North of Chiang Mai. We have been welcoming volunteers for many years to exchange culture with the Karen hill tribe villagers. Volunteers share an intimate experience with Papa Sao and family, staying and working on the land and sharing meals together. Volunteer work done is up to the individual and seasonal. We may pick mushrooms in the mountains, make bamboo cups, fish in the lake, plant rice or fruit trees, make dresses or carve wood. In exchange volunteers can contribute to the village by sharing their culture. It is a fun and relaxed experience in the traditional Karen way – learning by doing! Volunteer Work: Organic farming, community projects, dress making, carving and much more. Volunteer Work: Depending on their skills, volunteers can have a variety of tasks such as infant care, tree planting, fish pond building and other landscape jobs. If you have training or experience in child or youth related social work, psychology, child development, infant care, or have experience in some other aspect of child care, from simply having been a parent to a university degree, we would like to talk with you. 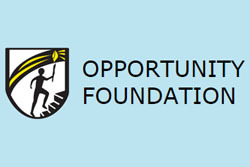 There are also opportunities to teach English. At the time of writing English teaching volunteers from mature high school age on up are welcome. It is helpful, but not required, to have a TEFL or ESL certificate. Cost: There is no cost to participate but volunteers must cover their own living expenses. On a case by case basis, the foundation can provide a room and food in one of our child homes for a few long term female volunteers. Back Pack Health Worker Team (BPHWT) provides primary healthcare to vulnerable people inside Burma. Volunteer Work: The BPHWT has short-term opportunities at its Mae Sot office for qualified non-medical volunteers. 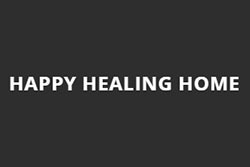 The current non-medical volunteer opportunities at the BPHWT are for trainers to enhance/build our staff capacities in: business communications; English literacy; video editing; website design and management. Volunteer capacity building trainers should have the appropriate subject background as well as the ability to teach in a group and one-on-one setting. Thoo Mweh Khee School and Senior College is a migrant school committed to providing education and shelter to mainly Karen refugees from Burma. Most of our students live in dormitories on site. 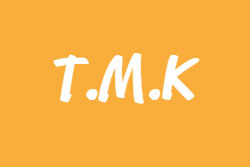 The language medium of TMK school (TMKS) is mostly Karen but English, Thai and Burmese are also taught. The language medium of TMK Senior College (TMKSC) is English with the goal of students having options to proceed to higher education and/or gain employment along the border. Volunteer Work: Volunteers can participate in a wide range of teaching activities from primary, high and senior college levels. They are encouraged to make relationships with our students and teachers with the view of sharing knowledge and increasing understanding. Opportunity is available to become involved in our school’s sustainability projects including the garden and animal husbandry projects. A valuable acronym to have is FAT – flexible, adaptable and teachable – together with a sense of humour and adventure. Further example of what volunteers can do: administration, fundraising, arts and crafts, media development and website development and maintenance. Cost: For volunteers staying in the on-site teacher house a small donation is requested to help cover to cost of food, rent and maintenance. This is negotiable for longer term volunteers. If eating and staying with students in the dormitory, no donation is required. 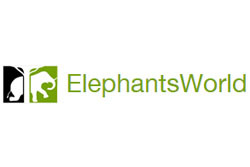 ElephantsWorld is a homestay for sick, old, disabled, abused, illegal and street elephants that have come here to receive the rest and joy they deserve after a hard working life. Here, they can enjoy themselves in their own natural environment until the moment they exhale their last breath. Our main rule is: “We humans work for the elephants and the elephants not for us.” They can stay here for the rest of their life, and never have to work again. We help bathe them, gather food for them, feed them and provide them with medical care. At each moment you can see how this special, huge, intelligent and sensitive animal enjoys his new life. Volunteer Work: Volunteers will have the opportunity to develop a close relationship with these lovely creatures as you will be with them every day. Besides, it is a great experience to live in the nature and work with the mahouts, learn their culture and their way of living. Volunteer tasks; guiding one day visitors around and telling them about our elephants and Asian elephants in general; feeding, gathering or planting of food in cooperation with visitors and other volunteers. Volunteers must be aged 21 or over and be able to communicate in English. To apply, please send your CV and motivation letter by email. Cost: The projects costs 15000 Thai Baht for one month which includes your food (3 meals a day, coffee, tea and drinking water), transportation to and from the city of Kanchanaburi and your accommodation. Faasai Resort and Spa is a hotel and resort in Chanthaburi on the east coast of Thailand. It is a paradise for nature lovers with abundant bird life, tropical butterflies, and rare trees. It has its own organic orchards and nature reserve which is part of a conservation and organic farming project. We focus on nature farming, following many principles of Permaculture. Location: Ban Nong Nam Khao, Sanamchai, Chantaburi. Volunteer Work: The work we assign depends on what needs doing at the time and the experience and skills of the volunteer. Mostly it is working at the farm or in the gardens but sometimes we ask people to help out with guests (e.g. serving in the cafe and sometimes to help out with creative projects). We are always interested in hearing from volunteers with artistic skills. Cost: Volunteers are provided with accommodation at the resort in return for five hours work a day, six days a week. We charge 150 Thai Baht per day per person as a contribution towards meals. Lek & Greg Vegan Camp is a farming and gardening project with a vegan community including cooking classes, massages, and other relaxing activities like yoga. We also teach English to the local children, and how to handle different types of waste. Everybody is welcome to join, and explore the vegan world. Volunteer Work: Gardening, farming, natural building, teaching, digging swales, drilling for water, etc. Commitment: Flexible length of service. Cost: We ask for 250 Thai Baht per night all inclusive with secret family benefits and high speed internet. 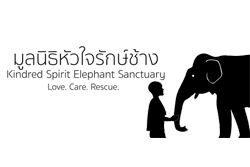 Kindred Spirit Elephant Sanctuary (KSES) is a non-profit foundation working to help both the elephants and the Karen hill-tribes in Northern Thailand. Our aim is to bring elephants home to the forest by working with the local communities to not only provide a haven for our elephants, but also provide an alternative livelihood for their mahouts and owners. Volunteer Work: KSES is in need of both volunteers and interns. Volunteer days begin with early morning hikes through the forest to find the elephants, staying with them while observing and taking data on their natural behaviours until lunch. Some days lunch is eaten with the elephants in the forest, a very unique experience! Hikes will usually return to the village around early afternoon but the day doesn�t end there. Volunteers will have the opportunity to participate in teaching English at the school, to the homestays and to the mahouts as well receiving education about elephants in Asia and learning the local tribal language and culture. Our internships has experienced people focusing on either elephant research, teaching or photography/marketing. Commitment: Our volunteering can be anything from 2 days-12 weeks and our internships last for 8-12 weeks. Cost: For our short stay volunteers, we have a fee of around US$450 per week and for our internships, a fee of US$1600 is required for the whole 8-12 weeks stay. This covers all food, accommodation and transport to/from site as well as a donation towards our elephant care. The Brackett Foundation dba Brackett Refugee Education Fund provides educational programs and scholarships for Burmese refugees in Thailand, Bangladesh and India. We currently support over two hundred university students a year, focusing on those who desire to serve their communities with new skills. After 18 years of work, we now have many teachers, doctors, nurses, public health officers, engineers, social workers, lawyers, agricultural specialists, foresters and environmentalists working in Thailand. Location: We work with communities and students along the border with Myanmar, including Rachaburi, Kanchanaburi, Tak, Mae Hong Son, Chiang Rai, and Chiang Mai provinces. We work in both provincial capitals and small rural villages. Volunteer Work: Over a minimum one-week period in rural Thailand, Trustee Representatives interview and select student applicants for scholarships to attend universities in Thailand. Throughout the balance of the year, the volunteers mentor and maintain online contact with the students, reviewing written reports, grade reports and ensuing compliance with the Foundation’s requirements. Commitment: We prefer a minimum four-year commitment to allow the volunteers to follow their students from university admission through graduation. The volunteers must spend at least one week in Thailand each year and be available to spend a few hours each month communicating with their students. Cost: Volunteers are responsible for their own expenses; the Foundation issues a letter that volunteers use in claiming a tax-deduction for US taxpayers. 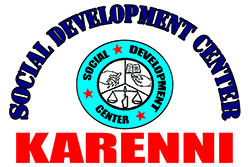 Karenni Social Development Center was established in 2002 by graduates of Earthrights School Burma. SDC aims to educate post-10 Karenni students in human rights, environment, law and English. We are based in Nai Soi, Mae Hong Son, Thailand and we are in need of volunteer teachers on a regular basis. Karenni Social Development Center aims to educate post-10 Karenni students in human rights, environment, law and English. Volunteer Work: Social Development Center is currently accepting applications to teach one or more of the following subjects at our boarding school in Northern Thailand: Human Rights; International Law; English. Responsibilities include teaching 4 hours per day, Monday through Friday. Cost: Volunteers live at the school, located near Nai Soi, 30 minutes from Mae Hong Son. Free room and board, including three daily meals prepared by the students, will be provided. Gibbon Rehabilitation Project (GRP) is a part of Wild Animal Rescue Foundation of Thailand (WARF). It has been dedicated since 1992 in developing rehabilitation methods to bring captive-raised gibbons back to their natural habitat. 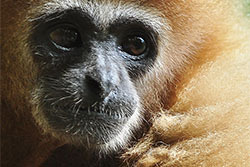 The gibbons that were rescued or brought to the project were taken from the wild at a young age; thus, they have to go through a series of rehabilitation stages in a semi-forest enclosure for several years to fully reclaim their natural behaviour. While it is crucial that context with humans is kept to the minimum, help and devotion from the staff and volunteers play an important role during this rehabilitation process. Volunteer Work: You may participate in the following activities: assisting the Animal Keepers (preparing food, feeding); assisting the Gibbon Release Research program; building, maintaining and enrichment of cages; daily cleaning of the cages; giving talks to visitors, telling them of your experiences as a volunteer and the background of the animals at the project, as well as enlightening them on the current situation of protected wildlife in Thailand; teaching in local schools. Commitment: 2 weeks minimum (the Experience Program), but volunteer will assist in our education and fundraising activities as well a chance to visit our release site and help with our research program once a week but will not get involve in our animal sites (Wildlife Rest and Rehabilitation Center) which require longer period at minimum 4 weeks. Cost: If you can stay 4 months (16 weeks) or longer we do not charge any volunteer fee, just a 30,000 Thai baht deposit to secure your placement. 50% of this deposit is refundable on completion of your volunteering time. You have free accommodation, WIFI, kitchen, laundry room and transport. For a shorter period, please email us. Volunt2Thai V2T, Volunteer to Thailand is a relief project in the north-eastern region of Thailand, called Issan. We take care of 5 farming villages, together 1200 inhabitants (650 children and mainly elderly people). We especially support the children, to build them a self-determined future. Volunteer Work: Volunteers work with the community, establish new friendships and have the opportunity to exchange ideas and experiences. Volunteers should have completed high school; there is no upper age restriction. There are many opportunities available to volunteers to work within the social system of the villages such as kindergarten and preschool teaching in the village school, work in the local temples, and even nursing, physical therapy and hospital work. Volunteers can also do administrative NGO work and see what it takes to set up and run an aid organization, all while learning Thai. Cost: V2T Volunteers receive free accommodation and food. Donations are appreciated to help cover the expenses. Ban ObOun provides a safe home/shelter to strays, mistreated or injured dogs that originated from the city of Bangkok. Volunteer Work: We welcome volunteers seeking to experience true local life and sharing with us the shelter’s daily life: waking up (early the morning), feeding, cleaning bathing and wishing to give a big dose of cuddles to our four-legged friends. Due to the very hot conditions during March to June, only very motivated people are requested to apply. Starting date on Saturday only. Cost: 250 Thai Baht per day which includes accommodation, 3 meals a day, electricity and water. Volunteer Work: We believe that we can gain experience and learn a lot through doing. In daily life the volunteers can learn about organic gardening, taking care the animals (chicken, pigs, buffalos, fish, etc.) and plants, building with natural materials, Lanna-cooking and Lanna-culture. The daily work also depends on the season. Cost: We ask for 150 Thai Baht a day for food, accommodation and getting a lot of life-lessons. 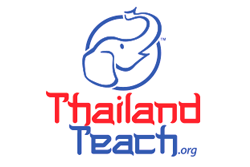 Thailand Teach / Volunteerinn is a Community Based Organization. We started our programs because vocational training and other forms of education are much needed in Thailand, especially for the unprivileged youngsters in rural areas. We initiate sharing of ideas by involving participants in Thai cultures, lifestyles, traditions, while staying and involving themselves with the daily life of local villagers. Thai cooking, language, farming, charcoal lessons will also be offered. Main group of the educational activities is poor children (mainly primary school students and also some in secondary schools), as their lives in most instances can be difficult. You don’t have to be a teacher! Just a willingness to teach English by simply giving students a chance to listen to speak English! Learning by heart, learning grammar, with opportunities to improve conversational skills. Volunteer Work: Welcome everyone to volunteer in English, art, music, theater, sports, swimming, medical or any talent to benefit children. Reach out to people to volunteer and contribute their valuable time, talent, and expertise that bring unforgettable moments and a heart warming and rewarding experience for all participants. Contribute to the rural communities and motivate the local children, families and villagers to get to know the outside world through cultural exchange, hope, strength and joy. Cost: A fee of around US$16.50 a day is requested to cover expenses. Other option with at least 2 week’s notice is a private or semi private room in our guest house. Both are very close to the villagers in the communities where you will volunteer. We try our best to accommodate volunteers who travel alone and request shared accommodation. Please understand due to gender, time of the year, schedules, or other reasons it may not always be possible or available.